December calls for continuous weddings of your relatives, friends, neighbors and who not. The cold weather makes it easier for people to enjoy the wedding in peace. I mean winter weddings are just perfect! Coffee or Peshawari chaai, kulfi or ice cream – they all are ten times better in winters. One thing however is drawback in these endless events – people who would not leave your back and would desperately want to you to get hitched too. Sometimes us single people get tired of hearing all of it! We could be single by choice, and probably want to make a career – ever thought of that? Random aunties need to take a hint, and everyone else who thinks they are oh – so prefect should know that being single is great! Let us announce the things all the single people are fed up of hearing. 1. You should get married too now that all your friends have tied the knot. Is that my benchmark? 2.Don’t you ever get lonely? I do have friends and family ma’am. 3. Is there any proposal? 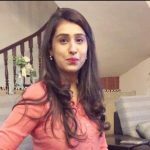 Koi rishta aaya hai? 4. Beta what do you do? Are you engaged? Yes I’m taken and now it’s about time you back off, need no rishta! And if that isn’t enough you have your friends to make it even worse! 7. Get married already, we want to flaunt our moves like jagger! So i get a man child for the rest of my life, and you get to show some grooves for one night? 8. It’s best if you learn to make some roties. Parents ki izzat ka sawaal hota hai. Really? Who knew a roti is the key to all the happiness. 9. It’s about time you get married, at your age I had three kids. Whose fault is that? 10. I’ve began to shop for your jahez, just get hitched in my life. God you’re killing me mom!